Not all recycling can simply be sorted and put out at the curb. For industrial scrap metal and CRV recycling, you need to turn to a specialized company, and if you are in Chino Hills, that company is Ecology. You can drop your materials off at our easy-to-access recycling center in Fontana. We operate on a user-friendly model, allowing you to take part in the recycling process and receive compensation without delay. If you are in Chino Hills, there is no easier way to protect the environment while also making a profit. Trash is pollution. Anytime you put something in the garbage, it is hauled off to a landfill, dumped, and left there. Garbage is almost never reused and is simply a burden on the environment. Creating new materials puts additional strain on the environment. It requires mining, heavy water use, logging, and other processes that harm the air we breathe and disrupt natural habitats. Recycling materials use less energy than creating them new. Since most forms of energy are not environmentally friendly, this reduces toxic waste and gasses. As such, it both saves energy and reduces pollution. Finally, recycling benefits you in a direct and tangible way: earning you money. This one may not be about the environment, but it is a very important benefit to keep in mind. We pay you for your scrap metal and CRV, allowing you to walk away with money in hand. What is considered to be scrap metal? Any metal that you no longer have a use for. This includes outdated or non-functioning appliances, broken car parts, leftover wiring or wiring removed from buildings during renovation or demolition, hardware, bikes, industrial scrap, and more. If you have any scrap metal lying around, no matter how large or small, we are happy to take it off your hands. We divide scrap metal recycling into two categories: ferrous and non-ferrous metals. These two types of metals are made up of different elements, which means they have different uses, and as a result, different values. The Ecology recycling center near Chino Hills accepts ferrous and non-ferrous metals. The easiest way to tell if your scrap metal is ferrous metal is to grab a magnet. If it is attracted to the metal, it is ferrous. This is because ferrous metal has iron and steel in it. This type of metal tends to be used in cars, appliances, construction, and manufacturing. You do not need to worry about separating your ferrous and non-ferrous metals before recycling them. We are able to sort them at our recycling center using a giant magnet; this pulls the ferrous metals up while leaving the non-ferrous metals behind. 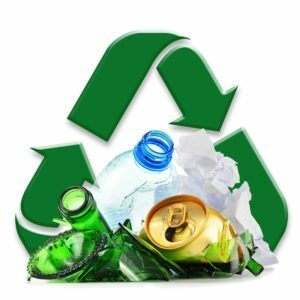 Our goal is to make the recycling process easy for you. Ferrous metals are not valued as highly as non-ferrous metals. However, it is still important that you recycle them since this will still earn you money while trashing them will earn you nothing at all. Plus, you will help keep Chino Hills cleaner by recycling. Non-ferrous metals are those metals that are not magnetic. They can be made up of many different types of metal, but rarely include iron or steel since those are ferrous metals. Included amongst the non-ferrous metals are bronze, aluminum, copper, and stainless steel. Non-ferrous metals are used in many applications and can be found in things like window frames, plumbing systems, electrical systems, bicycles, and certain parts of automobiles. Non-ferrous metals are worth more than ferrous metals. This is why recycling aluminum cans can be so profitable. At our recycling center, we are happy to accept all your scrap metal, both ferrous and non-ferrous. The State of California prides itself on its environmental initiatives, working hard to retain the natural beauty of the state. As such, it has created many initiatives designed to preserve the area’s natural resources. Once such initiative is the CRV program, designed to motivate private citizens and businesses to recycle more. And what is the motivation they are given? Financial compensation. The CRV program is focused on items such as soda, beer, and juice cans, as well as glass soda bottles, wine bottles, and more. The focus is on packaging made from aluminum, plastic, and layered metal. Here at Ecology, we are proud to participate in the CRV program, and you can bring your CRV recyclables to our recycling center. How does the compensation part of the program work? Every item that uses CRV has a small fee included in its price. When you bring the item in to be recycled, you earn this money back. Small lots are processed by a number of items, but if you have more than 50, we process by weight. We are happy to accept all clean and dry CRV items for redemption at our recycling center, just a short drive from Chino Hills. At Ecology, our goal is to help everyone, both private citizens and corporations, benefit the environment by recycling more. To reach our goal, we designed our recycling center near Chino Hills to be easy to access and easy for you to work with. For private citizens, we suggest working together with neighbors to make trips to the recycling center convenient. For those with industrial recycling needs, we offer a special service. To help you gather large amounts of recycling, we have roll-off bins that we will deliver to your property. Once it is full, you call us and we take the old bin away and drop off a new one. We can offer you this service as frequently as needed, even if it is multiple times a day, and offer bins in multiple sizes. Our goal is to recycle as much as we possibly can. Unfortunately, there are certain items we cannot accept. Below are those that we cannot process due to the capabilities of our facility and concerns for the health of our staff. If you are uncertain if we can accept an item you wish to recycle, simply give us a call and ask. Ecology is dedicated to improving the quality of life in Chino Hills by keeping it cleaner and helping residents and businesses earn money for their recyclables. No matter how large or small your lot of recyclables is, we are happy to process them for you. To learn more about any of our recycling services or our current compensation rates, give us a call. We look forward to helping you with your recycling needs.